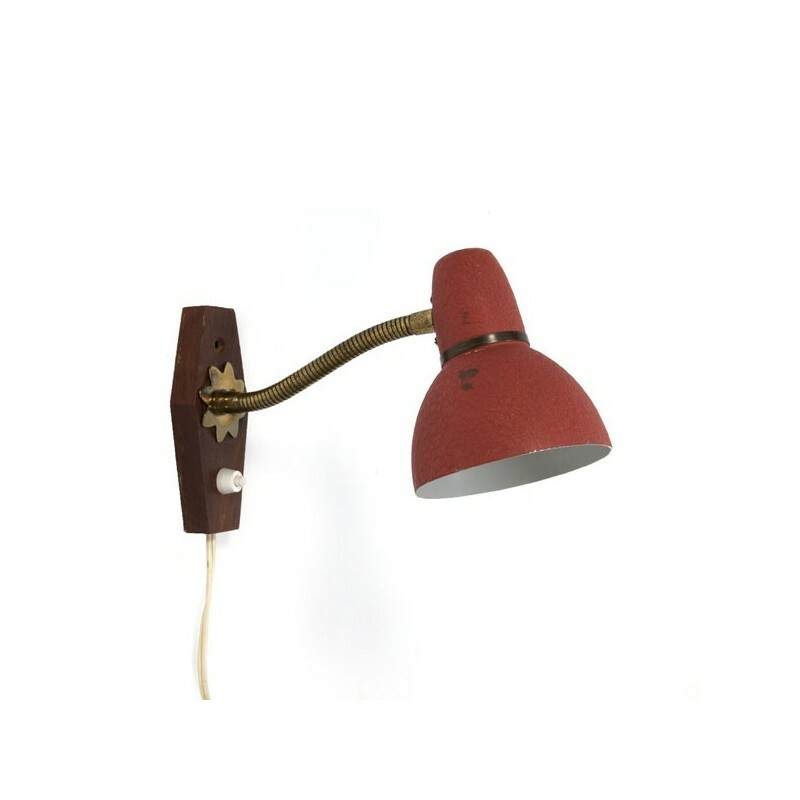 Vintage wall lamp with brass-colored flexible arm and red cap. Nice brass detail on the teak wall section. 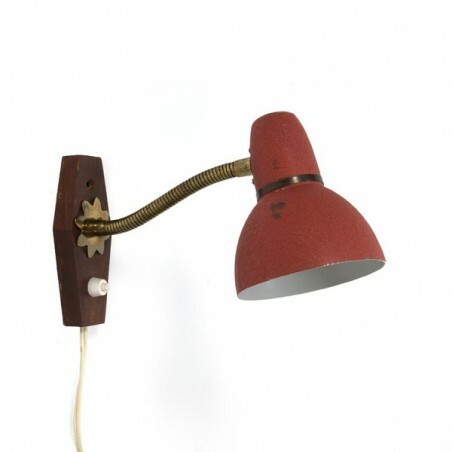 The condition is reasonable, there is a dark stain on the lamp-shade, see detailed pictures. The dimension is 25 cm long and 10.5 cm in diameter.